This entry was posted in Yarn and Thread and tagged embroidery, gift, highways, roadmap, texas. Bookmark the permalink. What a beautiful piece! 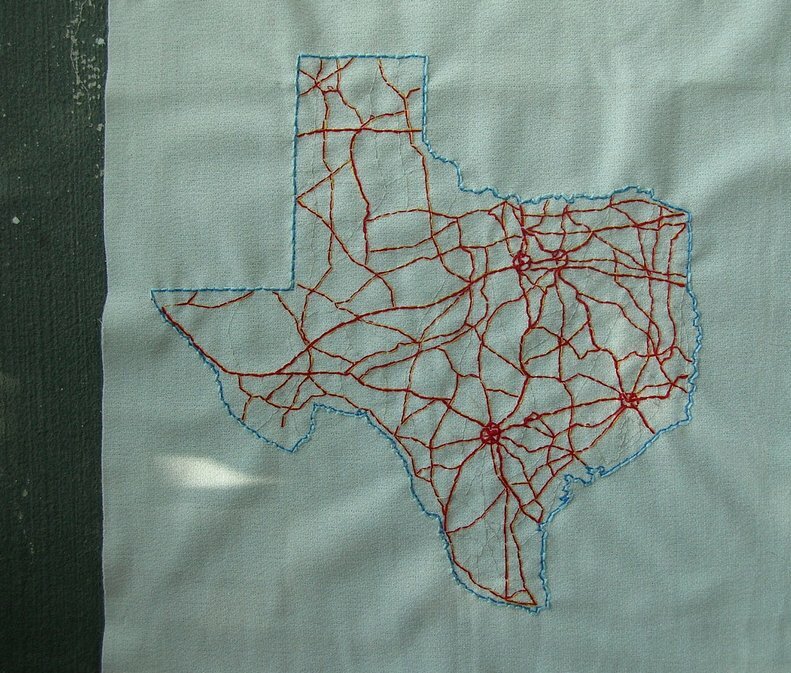 Maps are always fantastic, but embroidering the highways looks so beautiful! I saw this via flickr via one pretty thing and I LOVE this! Do you sell them? I love this embroidery! I’m going to embroider the three states I’m in most often! I love map embroidery! This looks amazing–well stitched!